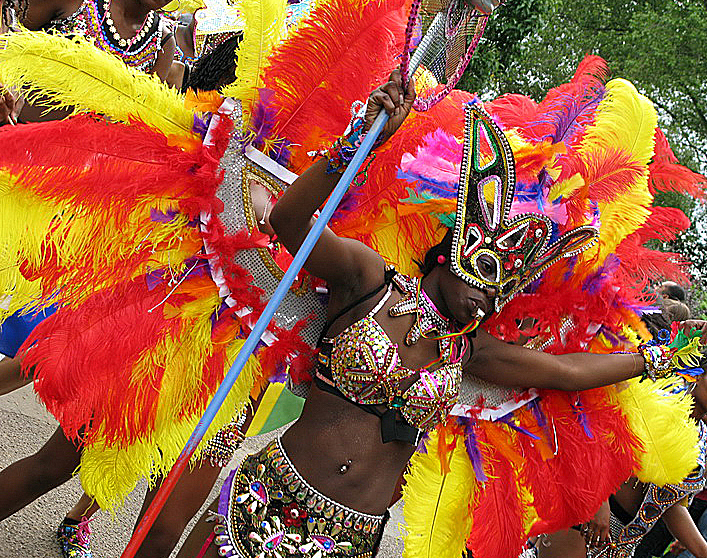 I have lived in Birmingham for over 20 years and had never attended the Birmingham Carnival. It was on last weekend and I decided I couldn’t let another year go by without experiencing it. It’s a bi-annual event held in Perry Park. The carnival procession sets off from Handsworth Park and winds itself down the streets before reaching it’s destination 3 hours later. I was waiting like an excited child for the procession to arrive! Lorries blasted out music and colourful dancers energetically strutted their stuff behind them.